What Are Municipal Bond Funds and How Are They Taxed? 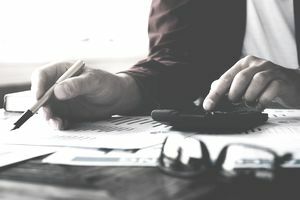 Municipal bond funds can be a smart addition to a taxable account because a portion or all of the income generated from these funds can be tax-exempt. Find out how municipal bond funds work and how and why you can benefit by investing in these types of mutual funds. Bonds are debt obligations issued by entities, such as corporations or governments. Also called "munis," municipal bonds are bonds that are issued by government municipalities or their agencies. Examples include cities, states, and public utilities. The debt obligations are used to raise money to fund the building of schools, parks, highways, and other projects for public use. Municipal bond funds are mutual funds that invest in municipal bonds. How Are Municipal Bond Funds Taxed? Municipal bond funds provide investors with interest that is exempt from federal income taxes. This income may also be exempt from state and local taxes for investors who reside in the issuing state or locality. A New York City bond, for example, would be triple-tax-free, which means it could be exempt from federal, state, and local taxes if the investor lives and pays taxes in New York City. For this reason, municipal bond funds are often referred to as "tax-free" or "tax-exempt" investments. Who Should Invest in Municipal Bond Funds and Why? Investors who should use municipal bond funds are primarily those who want to earn yields that are typically higher than that of money market funds and who may be in high tax brackets. The yields on municipal bonds are often lower in comparison to other bonds, such as those issued by a corporation. However, the tax benefits of municipal bonds can make up for the lower yields. But how do you know if municipal bond funds are best for you? The answer lies in what's called "tax-equivalent yield." This calculation reveals that the income taxes saved by using the tax-free municipal bond is equivalent to (the same as) a taxable bond earning 6.15 percent. Therefore the bond investor is wise to use the municipal bond or municipal bond instead of the taxable corporate bond.